«The jump-off point» illustrated quotation. Literacy, free quote pictures for Facebook, Twitter, LinkedIn, Reddit, Pinterest and other social networks. 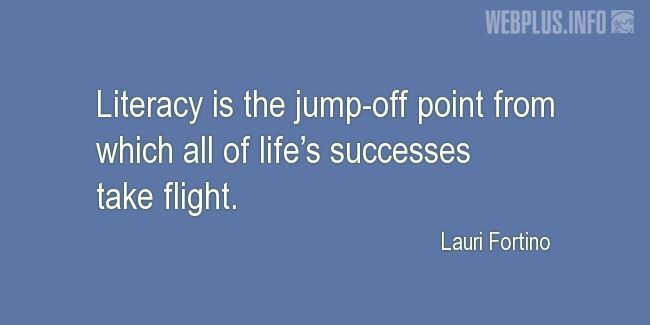 Literacy is the jump-off point from which all of life’s successes take flight.